Hagiwara Tooru is a math teacher at Jougaouka High School. He's a shy and caring person, and is often called a teddy bear. He's known the Shibata brothers since high school and has been dating the eldest, Shibata Masami, for just as long. When he met Masami for the first time he mistook him for a girl, but even after he found out the truth Tooru's feelings didn't change. 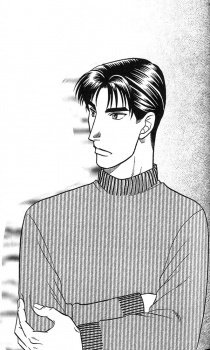 He was born in Tokyo and has a younger sister, Izumi, and a younger brother, Kyouhei. He also had a pet dog, Umenosuke, who played a large role in how he met the Shibatas.